I get so excited when I finish something off because it means I get to start something new! 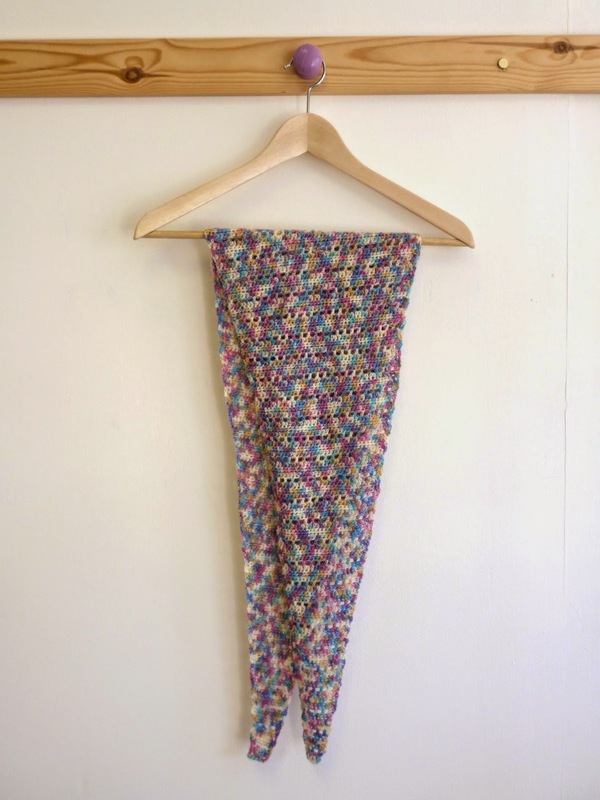 TO celebrate that Friday feeling, I'm offering this pattern for free. 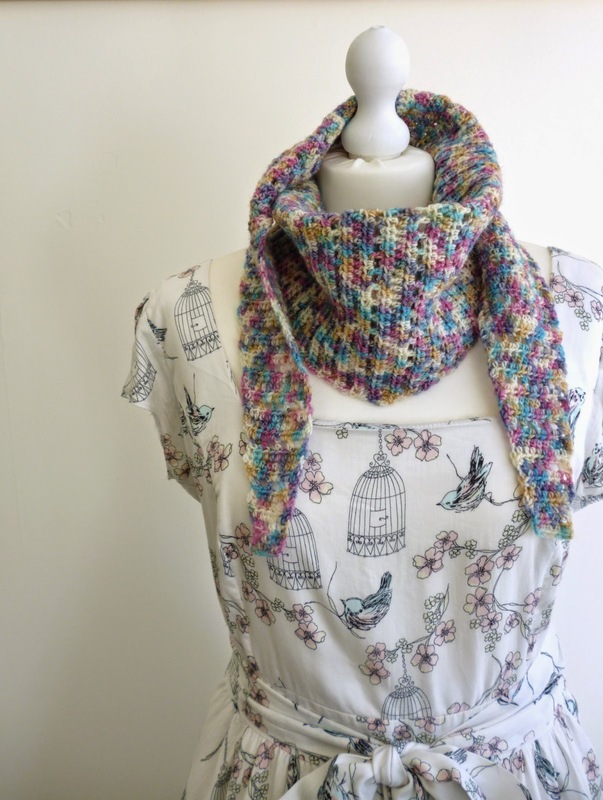 This is a great pattern, suitable for any 4ply yarn. It looks particularly great in sock yarns and hand dyes. This pattern is written using English crochet terms. 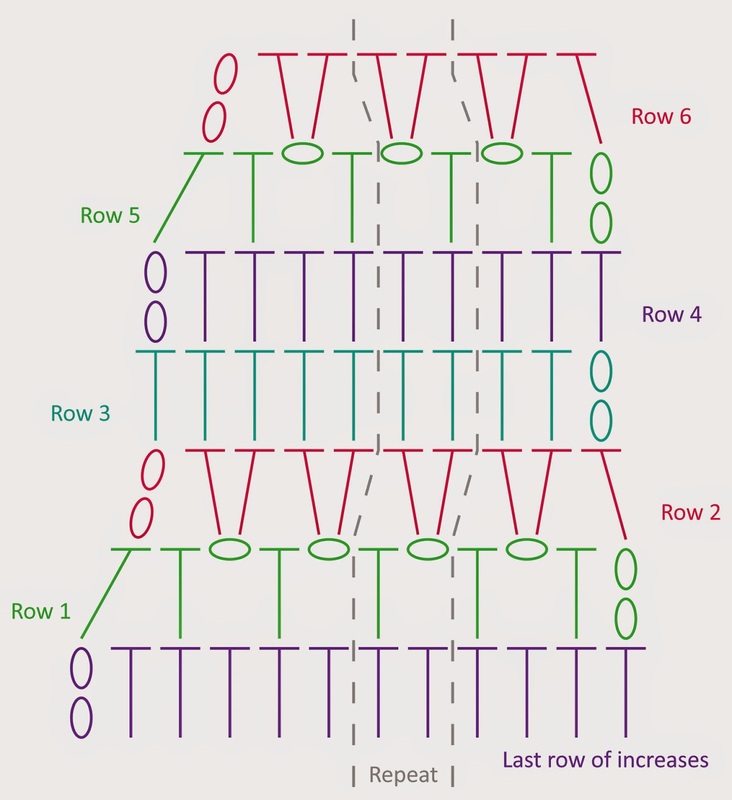 The chains at the beginning of each row are counted as the first stitch. Repeat rows 3 - 6 until you have used all of your first ball, ending after a row 6. 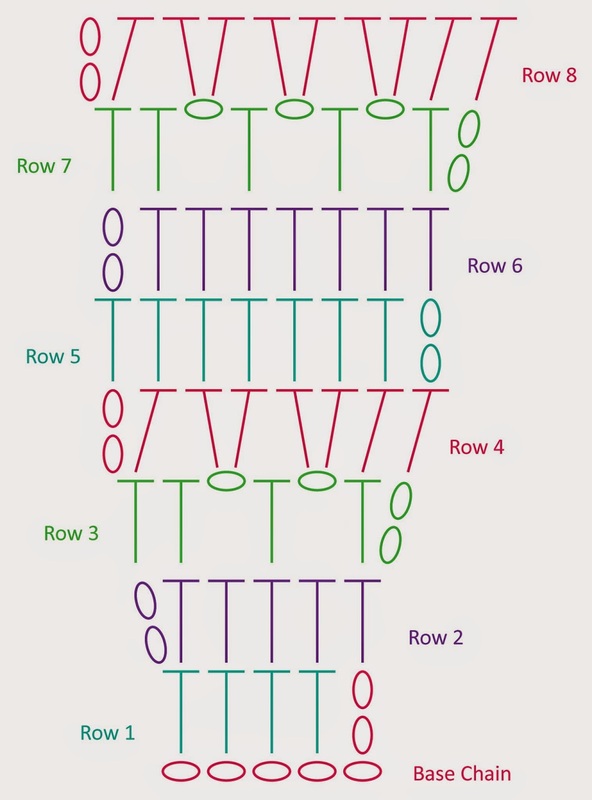 Repeat rows 1 - 4 until there are 6 sts remaining, ending after a row 4. Fasten off your yarn and sew in your ends. What a lovely pattern! Thank you so much for sharing :) Could you let me know which colourway you used please as I am a bit in love with that yarn! Thank you! It's called Papillon, shade 5025 in the regia 4 ply colour (http://www.northstaryarns.com/regia-4ply-color.html). Isn't it gorgeous? I've just started a teeny baby cardigan in it too and it's turning out extremely cute.